Addiction to prescription drugs is a huge, but often ignored, problem. I’ll be focusing on recovering from prescription drug addiction over the coming weeks. Here’s a moving Recovery Story for starters, from the Mad in America community website. In 1994, my nineteen-year old daughter, Cristina, was diagnosed with chronic myelogenous leukemia (CML). It was a diagnosis that came totally out of the blue and as a complete shock. Soon after she was diagnosed, it became clear that I wasn’t going to be able to sleep because of the tremendous stress, so I asked the very kind doctor who diagnosed Cristina if he could give me a prescription for something that would help me sleep. He agreed, and so began my “relationship” with Xanax. I had never taken anything like that before and didn’t know anything about it. All I knew was that as my daughter’s primary caregiver, I needed sleep in order to fight to keep her alive. Cristina opted for a bone marrow transplant, which we were told was the best chance for her survival. This procedure entailed the search for a donor, and lethal chemotherapy and radiation that, as one nurse told us, would have to kill her in order to cure her. Cristina had the transplant and over the next several years we spent endless hours, days, weeks, and months, and years in and out of the hospital for various emergencies, re-hospitalizations, and surgeries. I took the Xanax to at least give me some semblance of sleep throughout this time. By about five years post-transplant, my daughter’s major emergencies lightened up, but I continued on Xanax. I did some research about it and finally learned that it was addictive (which I hadn’t been told by that very kind doctor) and that it was extremely difficult to get off. So I just stayed on it. I was overwhelmed with so many things, it just seemed easier. As far as I knew, the Xanax was just helping me sleep and I never took it during the day, only at night. As much as I recall, it was about two to three milligrams a night, which also depended on how much of an emergency situation I was dealing with. The years passed and I eventually tried on several occasions to get off it without success. I was told by a number of different doctors that the only safe way to get off it was to get on something else, so I tried several antidepressants and sleep medications. None of these meds helped, but instead, made my condition worse. With so many hospitalizations, rehospitalizations and emergencies, my sleep cycle had been completely thrown off. There was no longer any night or day, but only emergencies. Xanax seemed to be the only thing that could get me to sleep through all of this, and I was convinced I needed it. About three years ago, I moved to Boulder, Colorado and continued the same routine of seeing everyone I could think of who could possibly help, but to no avail. Last year, I noticed that I was really slowing down. I was doing less and less, had no energy and basically felt like I was dying. I felt that in some way I was still alive just through sheer willpower. I got really scared, but still didn’t connect this with the Xanax. Through a friend, I met a healer and we began talking about Xanax. He told me that it exhausts the brain and totally rewires the nervous system (and not in a good way). Xanax causes the brain to cut back on GABA production (which calms the brain) and most other “feel good” hormones. When he told me that, a light bulb went off. All of a sudden, I realized that Xanax must have been playing a part in why I wasn’t healing from the foot injury I’d acquired years earlier, why I was in so much pain, and why I was slowing down so much. I decided that my only, best option was to get off it, so I began the weaning process in early December 2012. I’d seen a doctor who told me I needed Xanax to function, but that if I wanted to get off, I should just take Qigong, and maybe go off a sliver at a time. He then sent me on my way. This was no help, really. I did some research into doctors, but Medicare, my only insurance, didn’t cover very much and I couldn’t find a doctor who really specialized in substance abuse. By this point, I was so close to completely shutting down that I couldn’t think straight, and I really had no idea what was in store for me. I took what I thought was my average dosage as the starting point for weaning. By early February I was down more than half. I didn’t realize that this was too fast, and I thought I was doing pretty well until I had one thought… literally just one thought… and I went over the cliff and into a nightmare. Thankfully for me, Cristina was also living in Boulder. Unfortunately for her, she took the brunt of what became my descent into psychosis from what was close to a cold-turkey withdrawal of Xanax. I wasn’t sleeping or eating, and was in total non-function mode. I was full of rage, and experienced weeping, paranoia, excruciating physical and, even worse, emotional, mental, and psychological pain. I couldn’t stay by myself and I couldn’t be around anybody. Nothing my daughter did or said was okay and I was petrified and terrified all the time. I was having back-to-back anxiety attacks. I couldn’t go to the store for food because even if I got there, I was afraid I wouldn’t be able to get back. The healer said I shouldn’t go back up on the Xanax to stabilize because I would be backtracking. I was at a complete loss, as was my daughter. I think if she hadn’t been around, I would have had to have been institutionalized. I had a few blessed friends who said I could leave whatever crazy messages I needed to at any time of the day or night. And I did! However, even with the help of some friends, no one I knew had ever gone through this. I felt totally isolated, alone and ashamed. I was in total grief about what was happening to me and I had absolutely no control over it. Over and over in my head I thought, “I can’t believe what this little pill did to me.” It was nearly impossible to wrap my head around the fact that this little pill, which was only supposed to help me sleep, was basically killing me. It is still hard for me to wrap my head around this. A friend of mine had heard about Matt Samet, a rock climber here in Boulder who had gotten off benzos and was writing about his experiences, and reading his story helped me enormously. He described exactly what I was going through so at least I felt I wasn’t totally crazy. But still, what to do? I knew about an online community of Boulder residents who have a Yahoo group called ‘Anna’s List’, so I figured I might as well check it out to see if there was any help there. Among the few people who responded to my plea for help was a wonderful functional nutritionist who helped me get the basics for some good nutrition. She suggested I contact a certified addictions counselor who did what is called LENS Therapy (EEG Biofeedback). I called her, set up an appointment … and the dawn came! The cavalry arrived! LENS therapy basically disrupts the cyclical functioning of the brain caused by chemical, physical and emotional trauma. My brain had been totally traumatized by benzos and the neurons kept firing in the same chemically traumatized circle. LENS therapy can correct neurological pathways altered by Xanax, as well as create new healthy pathways. When I started this therapy in February, I was told to go back up to my original dose of Xanax to stabilize; when I did, some semblance of sanity returned. I continued getting the LENS treatments every week, and on May 6th, I began my official weaning process. It was not pleasant, to say the least; I wasn’t sleeping very well nor eating very much, but at least I wasn’t psychotic anymore. I also completely trusted the therapist and felt I was in good, compassionate, intelligent hands. I felt that this healthy rewiring of my brain made total sense and brought with it the gift of a new beginning. A second chance at my life. I realized that when I’d abruptly withdrawn before, it felt like I was reliving my childhood, which was one of fear, neglect, and abuse. When I withdrew from the Xanax with this therapist, most of those thoughts and feelings were gone. They are in the past now, where they belong. By July 4th weekend, I stopped taking the Xanax totally, which was when the real withdrawal began. It was as if I’d walked with a crutch for twenty years and had it suddenly kicked out from under me. My body was all swollen from the detox, both inside and out. This was been a big blow to my vanity on top of everything else. As I’ve gone through this process I’ve done much research about benzos and the statistics are shattering and alarming. 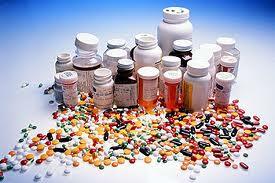 I know I am not the first, last or only caregiver to take prescription medication. There are approximately sixty-seven million caregivers in this country with approximately 30% taking medication (1). That’s twenty million people. I also researched the use of prescription meds in the general public. Between 1992 and 2002 the use of benzodiazapines increased almost 80% (2). Yes, shattering and alarming. As of this writing, I am about fourteen weeks out, clean and sober. I have had some nights in which I can only sleep for forty-five minutes, other nights for two hours. I am exhausted beyond exhaustion, feel depressed, and can hardly do anything. Even having the most basic conversation is exhausting and draining. However, I am no longer feeling totally petrified. I can stay by myself and am learning literally to take it one day at a time. I’ve been doing some EFT (Emotional Freedom Technique) to help with my withdrawal, and a few weeks ago, I tried some hypnotherapy in the hopes that it would help with my insomnia (which it really didn’t). I am also taking some neurotransmitter supplements that the LENS therapist recommended and they seem to help a little with the energy and the sleeping. I have to be much kinder to myself. I feel so much guilt and shame over the fact that while I am functioning somewhat, I still cannot do very much. I feel like I have no life at all. My day ends a few hours after I wake up, should I actually sleep at all. I used to feel joy and laugh a lot. Right now, that seems like a distant memory of who I was; these days, I feel very spaced out. I go to a local recreation center to exercise. I mostly swim, because being in the water soothes and relaxes me. On most days, that’s my major outing and event. Sometimes when I speak, I wonder who is talking, because the words don’t feel like they’re coming from me. The big question I have is, who am I now? After twenty years on a brain- and mind- altering “medication”, I’m not sure who I am anymore. I have hope that I am creating, or recreating, a new and better me. If I put my arm out, I wonder whose arm that is and how I did it. I feel so strange all the time. I struggle with anxiety and the fact that what used to make me feel anxious now so easily becomes a panic attack. I have to be very careful of everything I do and who I talk to. I feel very fragile in every way. I have come to realize, albeit the hard way, that I can’t do anything to move this process along any faster. Any detox that I might normally do, like juicing, rebounding on a trampoline (which gets the lymph system going), intense exercise, or a massage (oh how I’d love one), only sends me further into withdrawal hell. Even bone broth, which does wonders in healing the gut, which I learned through one of the blessed benzo withdrawal support sites I go to, is something I can only do a little at a time because of how sensitive my system is. What has been one of the biggest, most wonderful gifts to me, and what has literally been a lifeline for me, has been connecting with benzo support groups online and a couple blessed people on the phone. I witnessed my daughter survive tremendous suffering and misery during her cancer battle; I have to say that second to this is all I’ve witnessed in these forums, where people talk about physical pain of all kinds, and mental, emotional and spiritual pain that’s even worse. As I connect with people, I am realizing that while I am going through hell, there are people whose situations are far worse. I am lucky that I was only on one benzo, as there are people out there who have been on four or five. I rage at the fact that these medications were prescribed by doctors who, in my opinion, have been, at the very least, negligent. I have witnessed courage and perseverance, and received heartfelt assistance, in these support groups. I am getting tons of helpful information about healing and health, but most important for me is the kindness I’ve received and the knowledge that I am not alone in this struggle to regain sanity and get my life back. I have decided to start a benzo support group here in Boulder, because while online support is lifesaving, I really would like to be able to get together with people in person to talk, share experiences, insights and knowledge, and maybe even to get and give a few hugs! Bottom line, this has been an excruciating, but ultimately rewarding process for me. When I think sometimes of throwing in the towel, I realize the only thing I can go back to is death. Moving forward is my only option. I also feel that I haven’t gone through this hell to backtrack. If I keep up my courage and perseverance, I have another chance at my life. I am truly blessed and grateful. (1) U.S. Department of Health and Human Services. (1998). Informal Caregiving: Compassion in Action. (Based on data from the National Survey of Families and Households [NSFH]), Washington, DC: Author. and, National Alliance for Caregiving & Evercare. (2006). Evercare® Study of Caregivers in Decline: A Close-up Look at the Health Risks of Caring for a Loved One. Bethesda, MD: National Alliance for Caregiving and Minnetonka, MN: Evercare. I am amazed and touched by the courage that Madeline has shown during her experiences. Her Story will help many people.